Glucosamine is a kind of chemical your body produces and uses to construct cartilage, the University of Maryland Medical Center reports. Glucosamine is available in supplement form that is derived from the chitin found in the outer shells of shrimp, lobsters and crabs. Glucosamine is believed to be an effective way of treating osteoarthritis however a 2006 intervention trial sponsored by the National Institutes of Health yielded inconclusive results. Most studies suggest that glucosamine needs to be used over two to four months in order to be effective. The current recommended daily dose for adults aged 18 years and up is 1,500 mg, MayoClinic.com notes. This dose may be taken in three 500 mg doses spread throughout the day for a period of 30 to 90 days. Your exact dose is about 20 mg per kg of body weight. Another study suggests using 2,000 mg per day over a 12 week period. A topical type of glucosamine has been used in a four-week period but its overall safety and efficacy remain inconclusive. Glucosamine is not recommended to anyone below the age of 18 because there remains insufficient evidence of its effects on children. 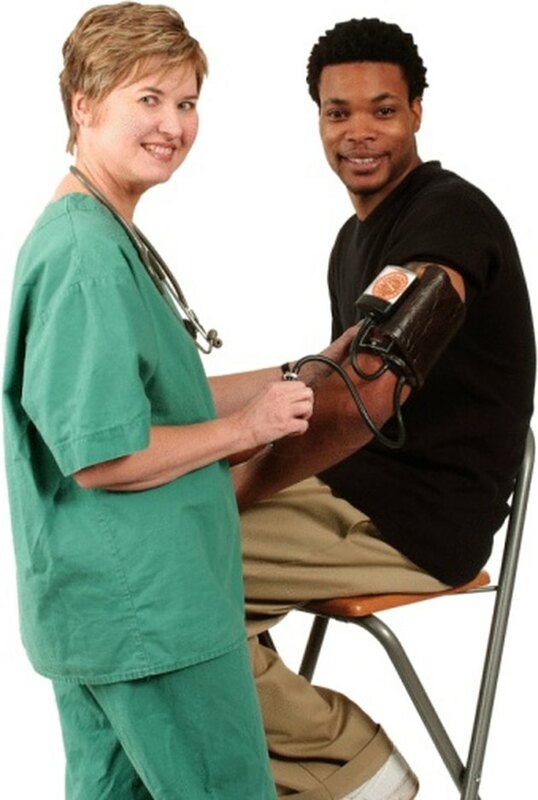 Glucosamine supplements elevate your blood pressure and heart rate, MayoClinic.com notes. Glucosamine supplements that contain chondroitin also cause palpitations in addition to increased blood pressure. Current data suggests that the increase in blood pressure and heart rate is temporary and does not cause any lasting injury or damage. Glucosamine supplements interact with prescription and over-the-counter medications such as nonsteroidal anti-inflammatory drugs, diabetic medication and cold medicine decongestants, the University of Maryland Medical Center notes. Glucosamine may potentiate the effects of these medications causing your blood pressure to increase in the process. If you are diabetic you are already predisposed to having hypertension or high blood pressure, taking glucosamine supplements will reduce the effectiveness of your hypertension medication. Glucosamine supplements may trigger an allergic reaction in people who are allergic to shellfish, Drugs.com notes. Allergic reactions cause your throat and facial area to swell. Other symptoms include hives and impaired breathing. Breathing difficulties cause your heart rate and blood pressure to increase because your heart is struggling to keep your body oxygenated despite the compromised oxygen supply. Avoid mixing different types of glucosamine supplements unless directed by your doctor. Doing so lowers your risk of experiencing adverse reactions to glucosamine. Other adverse reactions to glucosamine supplements include nausea and stomach upset. What Is Effect of Glucosamine on Diabetes? What Are the Pros & Cons of Taking Osteo Bi Flex?